So instead of a depressing 9/11 post with pictures, videos, etc., I decided to keep it positive and complete my Sunshine Award. We are never going to forget what happened on 9/11 and no amount of pictures, etc. will make me feel any better about it. Plus, it's all we see online or on the news. So that's that. All I can say is God Bless America. 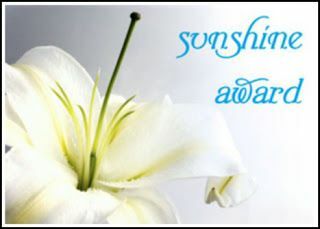 I was so honored when I read that Kayla from Kayla Layla nominated me for a Sunshine Award! As I said in THIS POST, I just can't get enough of her. So I have to be honest. I have never seen an episode of any of the RH's series. Never. Ever. So I had to do a little research of what a tag-line was all about. I thought Kelly Killoren-Bensimon's line from S2 & S3 of DC fit me perfectly. "I've created a great life and I love living it." I don't know who Kelly is and it's a little more generic, but I could totally see myself changing my blog line to that instead of what I have now. If you know me, you know I love ALL things Boy Band. For realz. You name em, I love them. But, if I had to pick just one, it would be The Backstreet Boys. They were the epitome of my teenage years. Probably Marsha Brady. We both have the oldest child syndrome. Yea. I'm not much of a rule follower with clothes and in Minnesota, if the weather is nice you wear it as long as you can, whether it be shorts, capris or dresses. I like both. Depends on my mood, but I usually prefer and have at home Nacho Cheese. I don't know on this one. I have a lot of work to do on my post baby body, so it wouldn't be anything with that. The two things I normally get compliments on are my eyes and my dimple. That's pretty much it and that's totally fine by me. Probably deaf. If I couldn't see my Hubs, Hailey, my family and friends, etc., I don't know what I would do. Both make me sad, but at least Paternity Tests is a brand newish life with potential. My heart breaks from seeing struggling people, especially teens. I would love to go back and re-live my wedding day. I know a lot of people would say their child's birth, but honestly, it was a painful couple days after she was born and although I'm so happy she is here and we are both healthy, I rather not re-live that pain of that day or time. I would choose Steve Buscemi. I think one of his best traits is that he is funny, and that's one of my top must have traits. 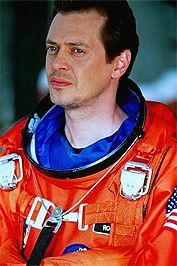 Also, I love him in the movie Armageddon. It's one of my all time favorite movies and I LOVE his character, Rockhound. 1. What is your favorite boy band of all time? If you are not a boy band fan, let us know why. 3. What is the hardest thing you've ever had to do? 4. Wine, beer, or mixed drinks? What kind? 6. Sweet or salty snacks? What is it? 7. If you could go back in time for 24 hours, where would you go and what would you do? 8. What is your next big goal for yourself? 9. What is your favorite app on your phone (or website if you don’t have a smartphone) BESIDES the usual social media ones (i.e. Facebook, IG, Twitter)? 10. Where is your favorite place to shop? For yourself. I look forward to hearing from all of you lovely ladies!!! Agree on the MN thing... if it's warm enough to wear it, wear it! Thanks for the nod! The questions you chose are great and I can't wait to answer them! OMG! I can't believe you have never seen an episode of RH! (Especially with as much Reality tv as you watch!) It's one of my favorite shows out there! All the city's are so different and have there own dramas.